A Newcastle city centre brewery is facing a battle with train bosses over its plans to open a taproom. 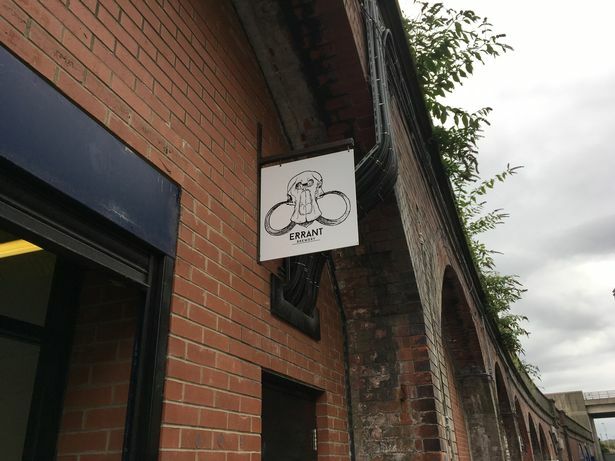 Errant Brewery wants to use part of its base, in a railway arch at the Forth Goods Yard, as a regular bar on Saturdays, having previously opened to beer fans occasionally for special events. However, Network Rail says the plan poses a danger to drinkers because it is surrounded by industrial railway land. The brewery's request for an alcohol licence, which could also incorporate an outside seating area, will be decided at a Newcastle City Council hearing next week. In an objection sent to the local authority, Network Rail property manager Emma Whitwell said: "We strongly feel that any member of the public who were to sit externally drinking alcohol would be putting themselves in danger due to the area and use of the land in question where the application requests approval for an external drinking area. "Any member of the public who has consumed varying degrees of alcohol would also be walking out of the arch directly onto the roadway as there is no footpath. Again, putting themselves in danger. "It is not the correct location for a bar to be located and could have an adverse effect on the railway operational side if access is restricted." Council licensing boss Jonathan Bryce has also raised concerns that the plan "lacks the necessary detail", ahead of a licensing sub-committee meeting next Tuesday. The brewery says that its main hours of operation for the taproom would be 2pm to 10pm on Saturdays, though the licence it has requested is for 10am to 11pm everyday to allow for offsales and other events. In its application, Errant Brewery stated: "We are a brewery with a small dedicated taproom/tasting area situated at the front of the property; where we invite guests to sample and purchase our beer for consumption on and off site, and take tours of our brewery." It added: "The premises will have a bar along one side of the space and seating and standing areas on the other. The licensed premises will include a small outdoor area which consists of a raised step area and limited seating." Network Rail announced last month that it was selling its railway arches portfolio for a staggering £1.46bn to Telereal Trillium and Blackstone.